~$40,000 worth of Audience cables for the Full Loom review. We ain’t messin’ around. Audio Bacon’s Full Loom series is an enormous undertaking. For one, we have to get many of these cables in – and at specific lengths. Secondly, these massive reviews are then done over months of listening and experimenting. This is why it’s only done for designers we’ve consistently enjoyed. When we started this concept, it was a leap of faith. Like many, we’ve been used to piecing different brands of cables together – developing an affinity of specific cables for specific components. But after building and reviewing the Synergistic Research set of products, we were astonished at how much our system has changed. We’re starting to think that in order to fully appreciate a designer’s ear – we might have to go full loom. Since these cables are voiced together – it kind of makes sense. Determining who we wanted for our second episode was easy. 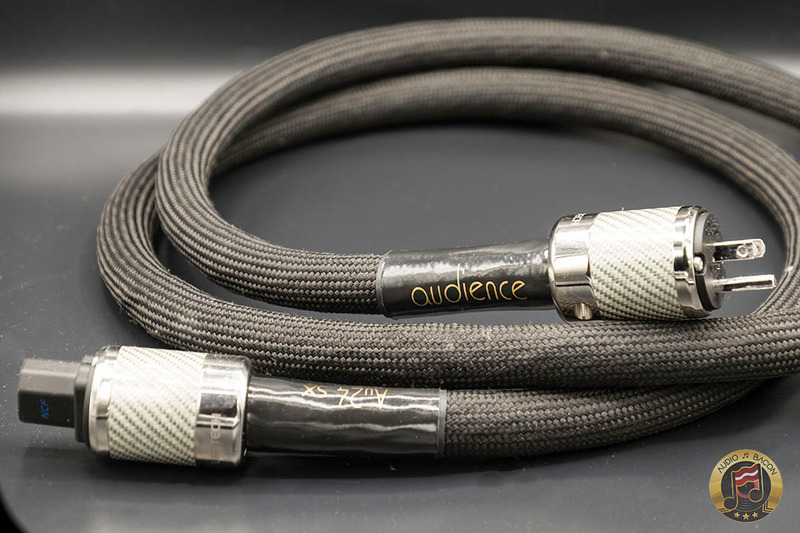 Audience has always had a place in our systems and their Au24 SX line of cables will be our focus here. Engineers and certain audiophile crowds will debate all day about their technical and subjective approach. We’re mostly interested in how it sounds in our systems. And that’s one thing that really resonated with our research and discussions with Audience. They acknowledge that cables and cords as components are a controversial subject. You’ll have your “wire is wire” folks with measurements showing very little, if any difference. And you’ll have those who are more open-minded and have tried it for themselves. That said, who are we to argue with someone who claims they can’t hear the differences. At the same time, acknowledging that the human ear is extremely sensitive. It can be developed like wine tasting (whiskey in my case) to pick out details and nuances that go beyond measurements. Instead of blind testing, we’ve found that listening over time is the best approach. It’s the only way to know how a system makes you feel as it covers different hours of the day, different moods, and other variations. 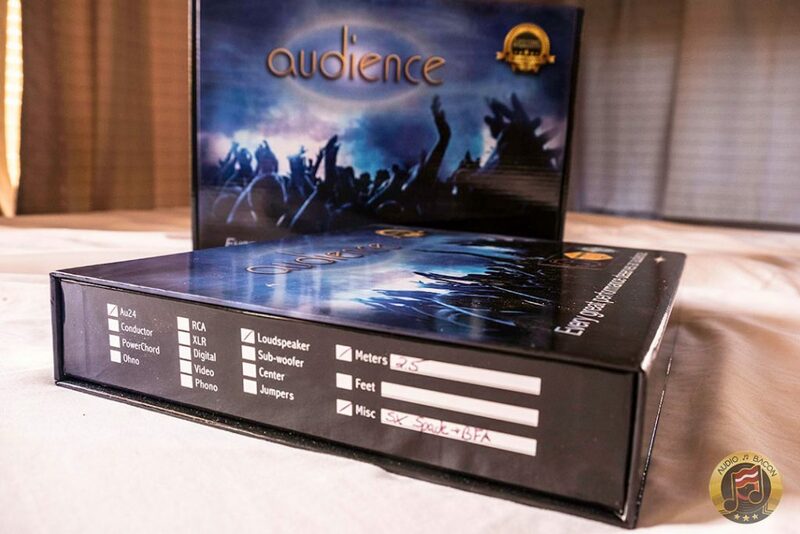 Audience is a company with a long history dating back to the 70’s through a chance meeting brought John McDonald and the late Richard Smith. In 1997 with a third partner, Roger Sheker, they formed Audience to tackle loudspeakers. As an ambitious bunch, they also set their eyes on speaker cables and interconnects – and finally, power conditioners & cords. It’s quite a feat to impact on three different areas of the audio industry. Especially when a lot of other manufacturers and designers focus on one specific area. Audience’s primary goals are to remove the veil between the music and the listener – and be as neutral as possible. All without coloring the music. This means a high level of transparency while preserving musicality. 99.9999% pure OCC copper is used in conjunction with a very high-quality cross-linked polyethylene dielectric (XLPE). 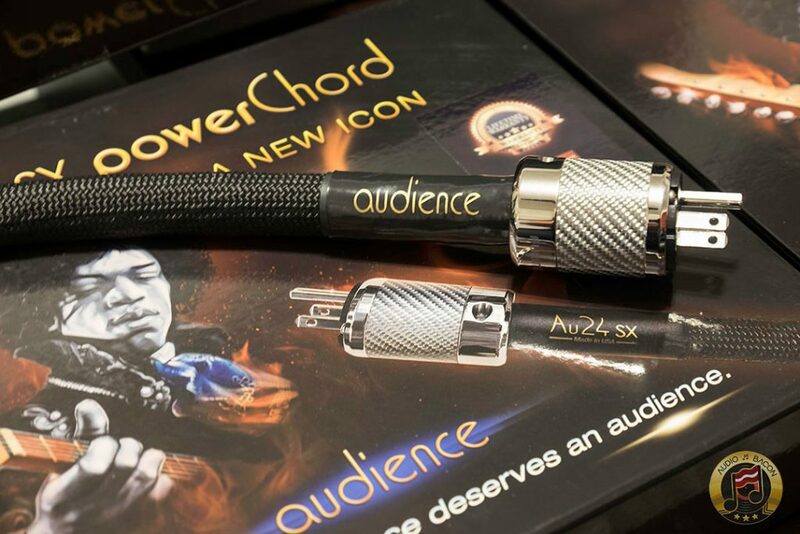 Audience also employs a proprietary “Perfect Lay Geometry” in an effort to produce more linear signal transfer and improve sound quality by reducing noise without the use of dampeners. Additionally, cables are twice cryo-treated – at the component level and then again as a completed cable. It was very apparent how seriously Audience took the ‘thin’ concept when we unboxed the speaker cables. 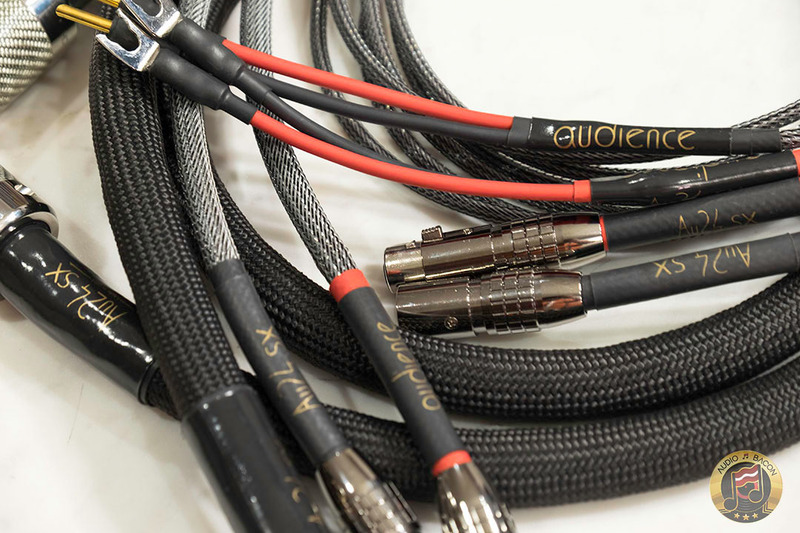 At the moment, they are probably the thinnest cables in our system just after the Synergistic Research HD grounding cables. These cables are incredibly easy to move around and plug into place. We also liked how each cable comes with Deoxit to keep our contact points clean. 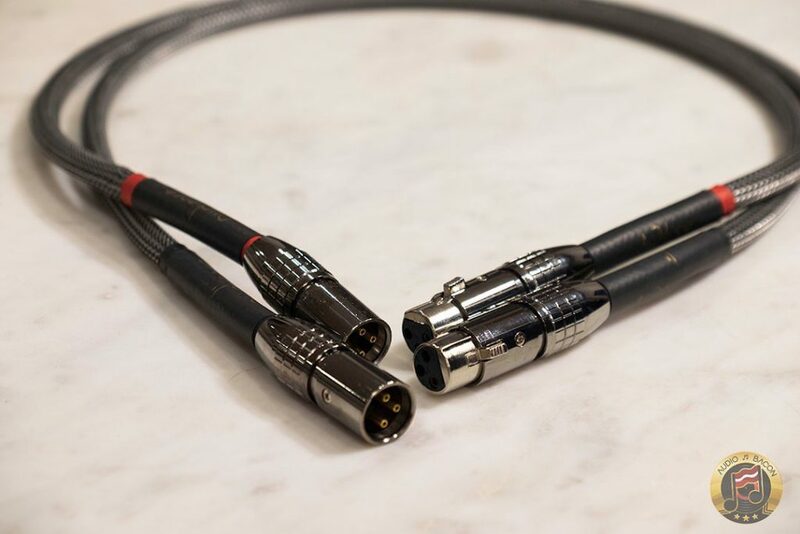 One of the things we appreciated the most about the XLR cables was how heavy duty the connectors felt. It’s extremely sturdy with a hearty weight to it and snaps into our components with a snug hold. They do have a little bit of a thicker feel to it. With the jacket coming out of the connector, it’ll be a little bit stiffer for the first few inches. As a result, you’ll want to account for that from a space and length perspective. 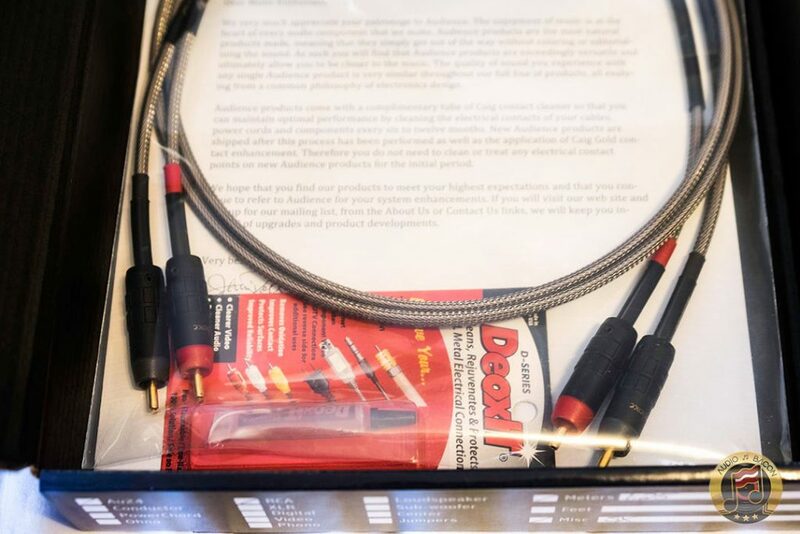 Jay has written plenty about the Au24 SX RCA cables here. They’ve been his reference ever since. 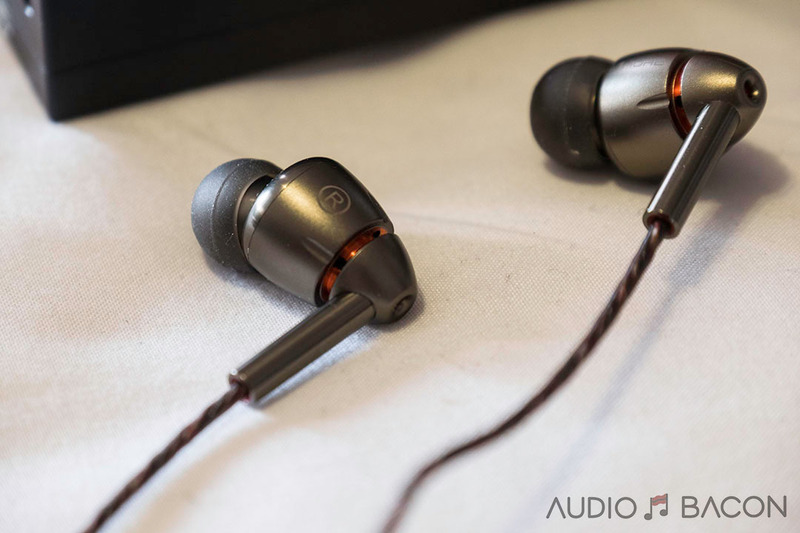 While we’ve always enjoyed the heavy feel of the Furutech FI-50 NCF(R) connectors found on the Au24 SX power cables, what we enjoyed the most was how flexible they were. In terms of high-end power cables, this is one of the easiest cords to handle. For those of us who’ve been in the game a while, that’s really refreshing given our sometimes limited real estate and crowded shelves. Additionally, it’ll allow you to save a bit by buying a truer length. As far as design, Audience generally does not believe in shielding. However, they found that shielding the two ground wires and insulating them with Telfon yielded better results. The difference between HP and MP variations of their Au24 SX power cords is the gauge. The HP (“High Power”) uses 10 gauge wire whereas the MP (“Medium Power”) uses 14 gauge wire. 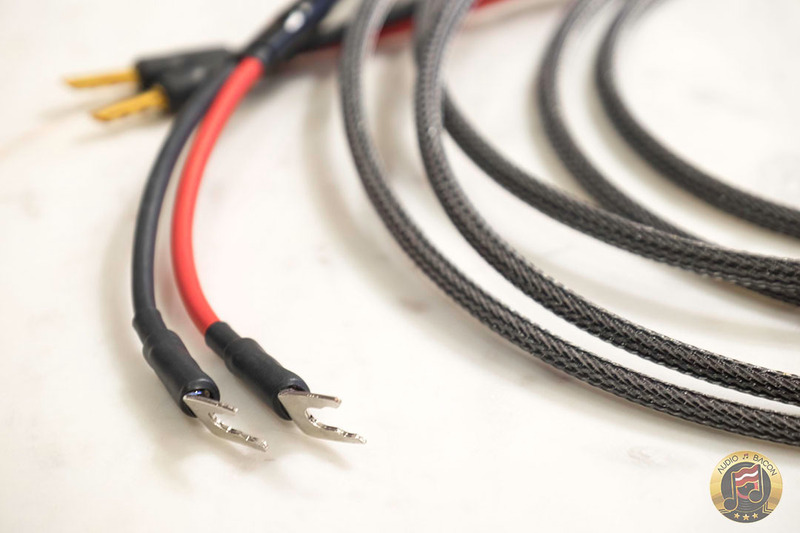 200 watt over and under is about the line you’re going to want to use to choose between the right cable for your component. We’ve been enamored with Audience’s line of interconnects for quite some time. In fact, our reference pair of RCA interconnects are the Audience Au24 SX RCA Interconnects. 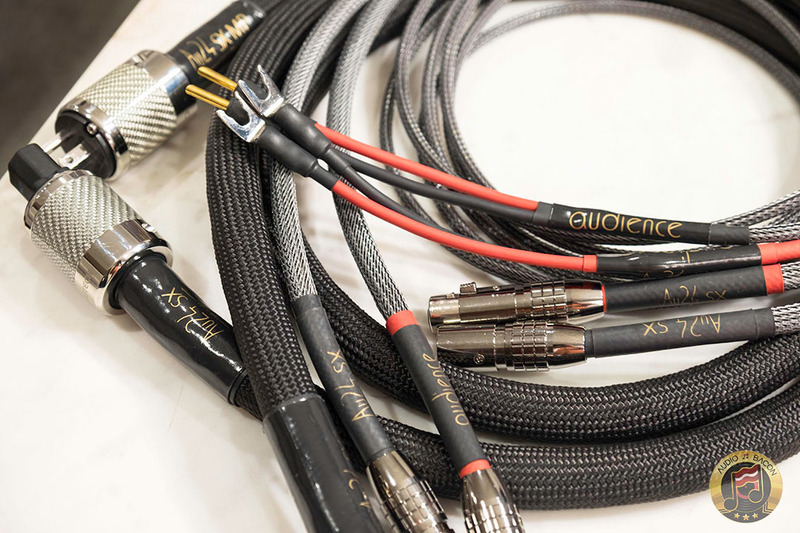 Although we’ll provide comparative impressions of each of these Au24 SX cables in the future, this particular piece is focused on how all these cables sound holistically. 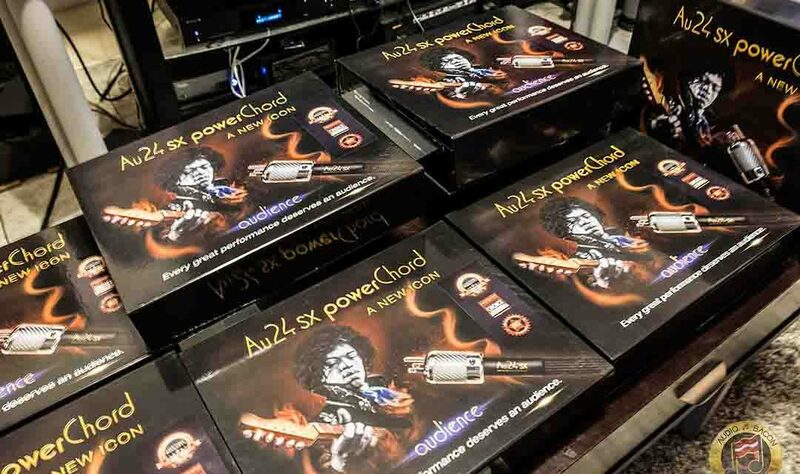 As alluded earlier In The Frying Pan series, the Au24 SX cables are very special. It took about 175 hours of break-in but our patience was rewarded. The Synergistic Powercell PC12SE with the Galileo upgrade and upgraded to the Blue Duplexes, connected to an SR Blue Outlet. Where applicable, devices were connected to the Synergistic Research Active Ground Block SE with HD grounding cables (RCA). We tested the Audience Full Loom with a few different ethernet cables as we saw a fair impact on the sound. The SOtM dBL-CAT7 set without utilization of the ISO-CAT6 noise filter seems to work the best. It brought out the fullest in the mids, natural tone, and spatial cues (height & depth in particular). Lastly, the tracks used here were all stored on a local file on the Roon Nucleus with the highest resolution we had available (minimum 44.1/16 FLAC). These are incredibly expensive and a poor value. Empirical Design cables share many design elements with these cables but are priced at a fraction of the cost and perform better in direct comparisons. I believe in cables making a difference as much as the next guy but you would have to be a fool to spend $2000 on 1.0M length of RCA IC when better exists in the $200 range. 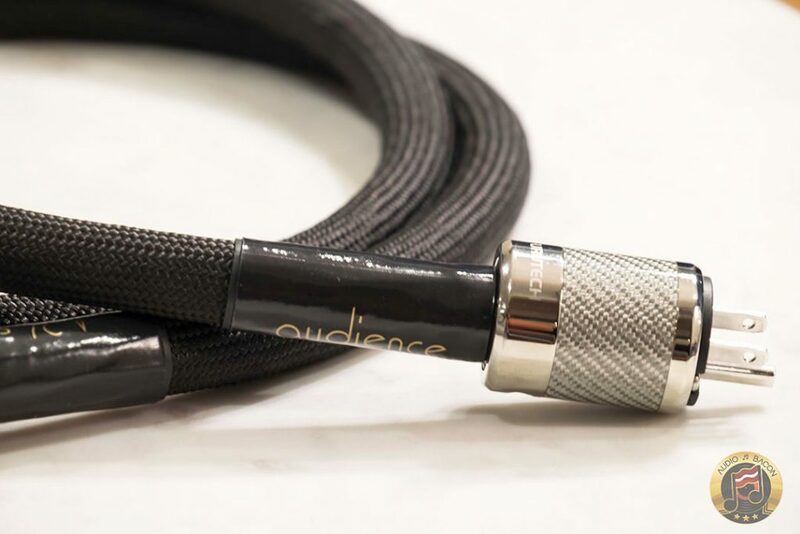 There are a lot of independent sellers offering custom cables on Audiogon marketplace using SPC wiring and similar build quality for $100-200. $200 for RCA IC cables? You would have to be a fool to spend this much on cables when better exists in the $20 range. My buddies and I can make these cables using SPC wiring and similar build quality for $10-20 because we sell direct and avoid the middle man. 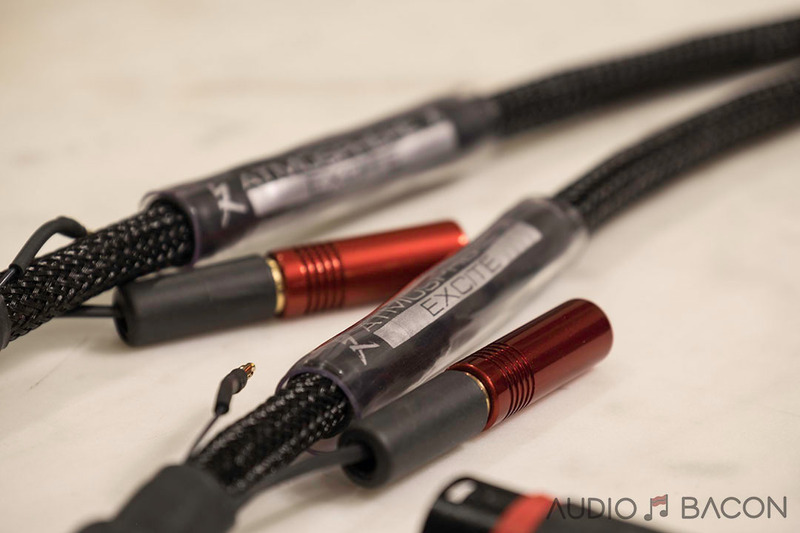 Plus we offer a satisfaction guarantee that our cables will sound way better than anything from Empirical Design. $20 for RCA IC cables? You would have to be a fool to spend this much on cables when better exists in the $5 range. Me and my cat can make cables from pure platinum/graphene alloy and similiar build quality to to Acrolink for $1-5 beacuse we eat only one cucumber and drink one glass of water per day to live. I can assure you that our cables are much better than anything from your buddies and you.